The Islamic State’s so-called caliphate ends 2017 in tatters. But after a year in which U.S.-backed forces drove ISIS militants from strongholds in Iraq and Syria, the group is far from defeated. Analysts warn that ISIS is retreating into what some call a “virtual caliphate” from where it will attempt to inspire more lone wolf attacks in the West in an effort to remain relevant. During 2017, military campaigns retook Mosul in Iraq as well as theSyrian city of Raqqa — the de facto capital of the self-proclaimed caliphate. But three days after declaring victory, Iraqi Prime Minister Haider al-Abadi warned that the extremists might “erupt again somewhere else” without international cooperation in combating the militants. “ISIS has this unfortunate ability to recruit young people very quickly,” he added. “Many people went to join something that existed, not something that is hypothetical,” he said. As ISIS leaders spend time “scurrying around” trying to survive, they have less time to plan and coordinate attacks, he said. “This is a group that emerged from being an insurgency into a proto-state, and it’s now simply pulling back to what it knows best,” Maher told a counterterrorism conference in London at the Royal United Services Institute (RUSI), a think tank on international defense and security. The ability of ISIS to shift forms demonstrates its “inherent resilience,” he said. With the caliphate all but gone, the question of where displaced fighters might go and what they will do when they get there is what keeps intelligence officers up at night, according to Karin von Hippel, RUSI’s director. It’s an acute fear in Europe, which suffered a string of deadly terror attacks this year, including car-ramming attacks in Barcelona, Spain, Stockholm and London, and the bombing at an Ariana Grande concert in Manchester, England. Of the 5,000 to 6,000 European nationals who went to fight with ISIS in Syria and Iraq, some 25 to 30 percent have returned home, according to Rob Wainwright, director of the European Union’s police agency, Europol. A similar number are believed to have died in battle, he said, leaving roughly 2,500 to 3,000 alive. 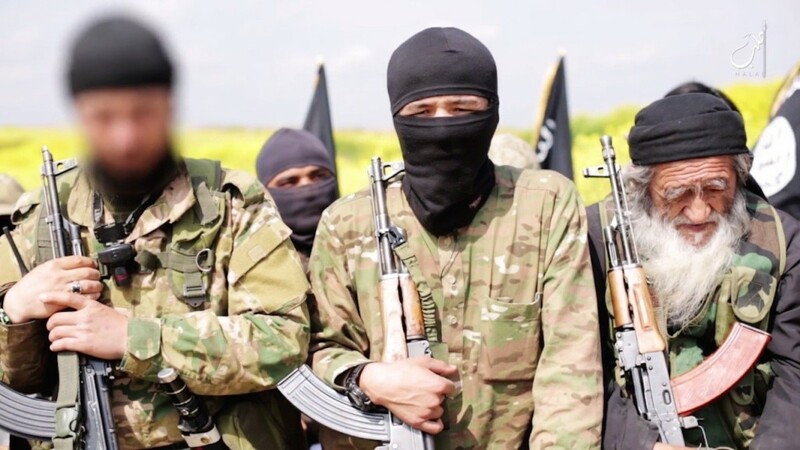 “There is a danger, yes, that some of them will go underground, through other countries, in a way in which we have lost sight of them,” he told NBC News recently in an interview, although he said the actual number of foreign fighters returning to the West in the past 18 months had been surprisingly low. “The intelligence community doesn’t fear a massive flow of returnees but more a trickle,” Gilles de Kerchove, counterterrorism coordinator for the European Union, told the RUSI conference. He warned that even a small number of returning foreign fighters have the potential to cause mass casualties. De Kerchove said that of the more than 40 attacks carried out in the E.U. since 2014, three by returning ISIS jihadis accounted for more than two-thirds of the total deaths and injuries. Such outposts have made the loss of territory in Iraq and Syria less acute, according to RUSI’s von Hippel. “Wherever they shift their headquarters, they will still be able to direct and plan attacks. Even if Baghdadi is killed, other opportunistic leaders will be able to take up the brand,” she said, referring to ISIS leader Abu Bakr al-Baghdadi. Von Hippel said having operatives spread across the world was part of the extremists’ “long-term strategy,” which the U.S.-led coalition against ISIS had not done enough to tackle. ISIS could also try to rebuild its caliphate in Iraq and Syria. “The international community better be very careful about dancing on top of the tombstones of the Islamic State’s caliphate because, like nature, ISIS abhors a vacuum,” said Vincent, who added that there were already examples of ISIS fighters returning to liberated areas. Barrett, the former MI6 officer, said he believes the caliphate is still a reality in the minds of ISIS fighters.